As the sun set Tuesday night, a strapping group of elite athletes readied for a final blazing night of competition. No. I am not talking about the Olympics. A Komondor in the judging ring during Day Two of competition at the Westminster Kennel Club 142nd Annual Dog Show in New York. I am talking about the 142nd WESTMINSTER DOG SHOW. Arguably, the FIERCEST of sporting events, 2,800 dogs fluffed, jumped, sprinted, and wagged to the best of their abilities to be crowned top dog at Madison Square Garden. 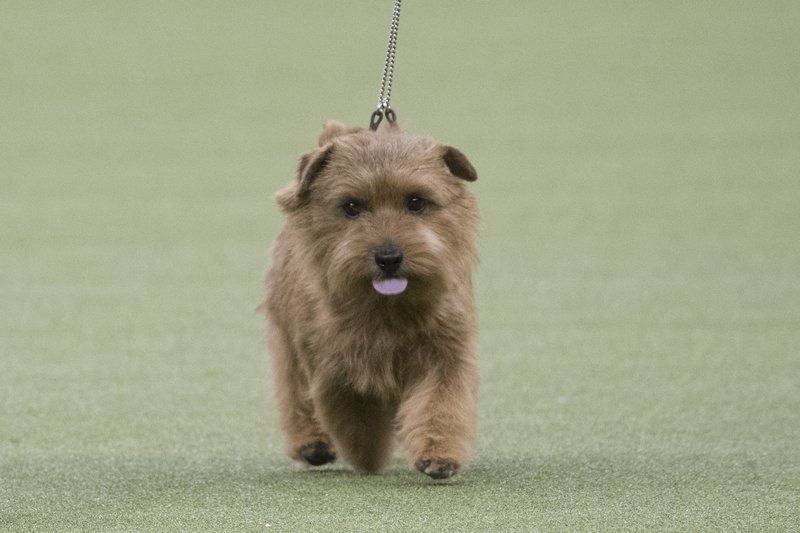 The storied two-day event culminated with the final seven best of the bestest dogs. They were evaluated in Best of Group competitions, as well as obedience and agility contests — and they outshone even the most impressive of humans. At the end of the night — after a nail-biting 20 minutes of judging — the prestigious prize went to Flynn the bichon frise. It was the second time that a bichon frise won the impressive title, dog officials said, praising his style and attitude. Just look at that focus and form, my goodness. Really taking fluff to new heights. The 142nd #WKCDogShow Best in Show winner is Flynn the Bichon Frise! Though the crowd applauded and praised Flynn's achievement, many called it an upset and felt Bean, a Sussex spaniel and fan favorite, was robbed. This glossy queen won best in the sporting group and her coat literally looks like a silky chocolate waterfall. Literally the Beyonce of dogs. The Reserve Best in Show honors went to Ty, a giant schnauzer, and by far the most excited, happiest dog ever, who danced in front of his adoring fans whenever his name was called. And repeatedly hugged his human whenever he did a good job. And while there was only one ~official~ winner, the field was littered with other very, very impressive dogs. Jambo, a Briard breed, is groomed in the benching area. Lucy, a borzoi, floated along with the grace and steadiness of a cloud as she took first in the hound group. Speaking of strut, this is Winston. 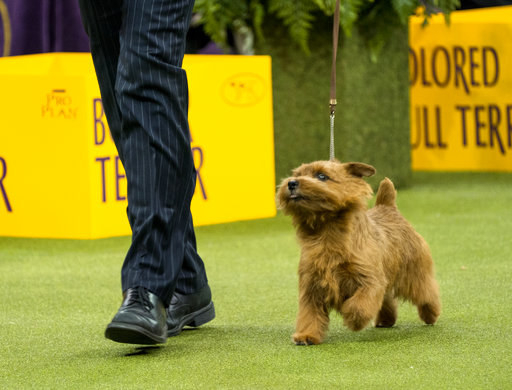 He won the terrier group. And was far from surprised because he is Winston, king of the terriers and way better than you. Slick the border collie bounded into victory after taking first in the herding group and was the definition of pure joy. Biggie, a damn fine pug, beat out all other little dogs to win the toy group. Other magnificent athletes included these boxers, who owned the green with speed, power, and agility. Just beautiful. As well as Sonnito, a smooth-coated chihuahua who soared through the competition like a flying squirrel. And notable runners-up in the fluff department included the Samoyeds. All in all, it was a fine spectacle of doggy might and superiority. We do not deserve these very, very good dogs.